On June 28, the Delaware Community Foundation presented a $25,000 Capital Grant to the Delaware Botanic Gardens (DBG) to build its new Welcome Center, to enable the gardens to open in 2019. The mission of the Delaware Botanic Gardens is to create an inspirational, educational, and sustainable public garden in Delaware for the benefit and enjoyment of all. The Delaware Botanic Gardens celebrates the coastal plain with a sustainable garden that delights and educates visitors and inspires them to preserve Delmarva’s native landscape. On June 18, Girl Scouts from Troop 20566, York, PA created a new garden project at the Delaware Botanic Gardens (DBG) in Dagsboro, DE. The 15 Girl Scouts and 9 adults worked on preparing this project for months. They selected 500 plants and 4 redbud trees, which they planted on one very hot day. Ronald Bass is a resident of Rehoboth Beach, DE. He holds a BS in business administration from the University of Baltimore. He worked for the Social Security Administration for 30 years. Ron has devoted himself to community service. 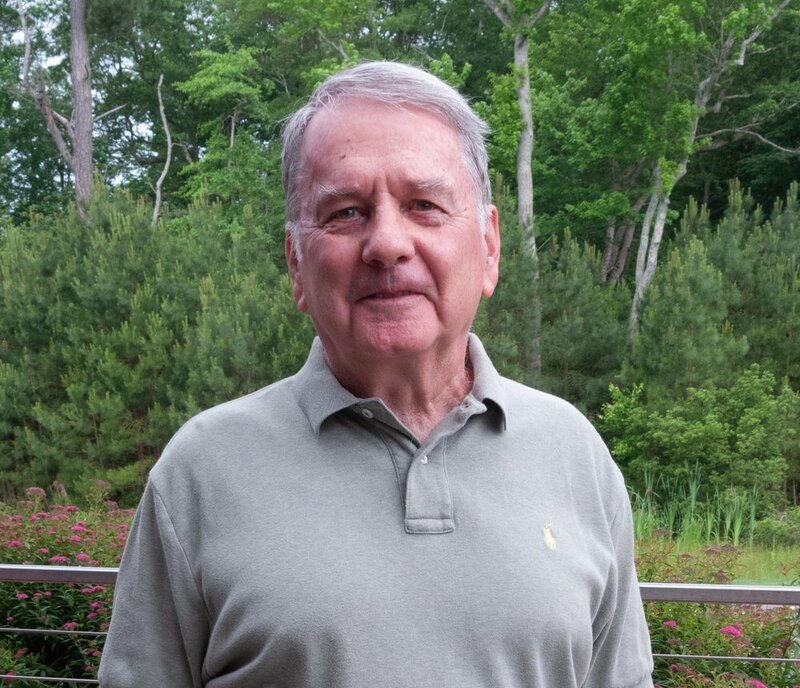 Upon retirement, he worked as a volunteer with the Baltimore City mayor’s office on architectural projects in the city and volunteered for over 10 years managing the Otterbein Community Parks. The parks system consisted of seven different parks spread throughout the community and included infrastructure maintenance, planting contracts, lighting coordination with the city along with simple planting and watering duties. He is a devoted volunteer at DBG. Brent Baker is a resident of Millville, DE. He began his love of nature in the Boy Scouts, where he reached the rank of Eagle Scout. He has 45 years of Communication-PR experience. He served on active military duty for 29 years, and retired as the Navy’s Chief of Information with the rank of Rear Admiral. Brent then served as a professor and the Dean of the College of Communication, Boston University. He holds a BS in Communications from Northwestern University and an MS in Journalism from the University of Wisconsin. Brent brings his communications expertise to DBG serving as our Communications Advisor. He is a lifelong gardener and volunteers as one of the DBG Garden Stewards. 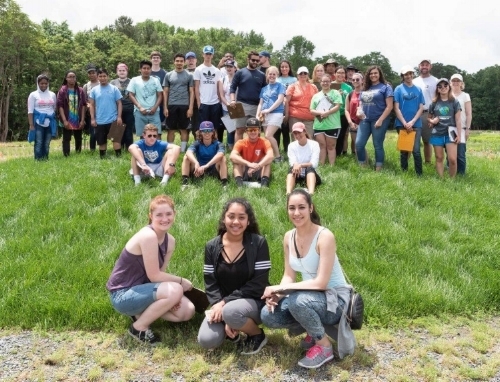 On May 31, thirty-two Sussex Central High School students visited the Delaware Botanic Gardens (DBG) in Dagsboro, DE to observe nature and conduct various projects. The junior-year students were welcomed by Ray Sander, President of DBG, who said, “DBG is in the beginning of a long-journey and we are very proud to have these young scholars as participants on this journey.” He said he hoped they would return next year when the DBG will be open to the public. After the tour, the students assembled at the Wetland Outdoor Classroom. They divided into three basic groups. One group studied the native plants as they prepared a “Field Guide” of 30 native plants. 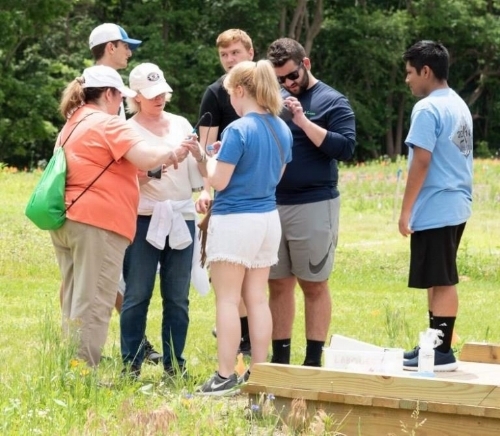 The second group began taking water samples at the Wetland Outdoor Classroom, and the third group began to take “soil samples” at the Wetland Outdoor Classroom. The Wetland Outdoor Classroom was designed and constructed by Todd Fritchman and Envirotech. Dogfish Head has generously underwritten the costs of this important learning feature. The chemistry teacher, Kristen Ables said, “Field work is always the best, and I’m looking forward to comparing these water and soil samples with the data you already have.” The samples went back to the classroom for further study. There is a rare opportunity for people who love nature and gardening to have a Behind the Scenes preview at the Delaware Botanic Gardens (DBG) in Dagsboro on May 4. Bear in mind that the gardens are being built from scratch by Delmarva professionals and volunteers. As Ray Sander, President of DBG, states “not many people have ever seen the birth of a botanic garden in the first stage of development.” In fact, over 50 local and visiting volunteers will have just added 30,000 plants to the Meadow Garden. Be among the first to see this garden. 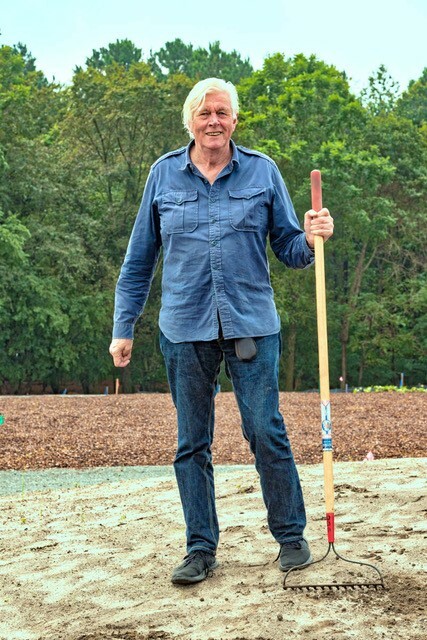 The centerpiece of this event is a chance to meet Piet Oudolf, the internationally renowned Dutch garden designer, who will be walking the Meadow path and discussing his iconic design. Dogfish Head Brewery is the sponsor of this DBG fundraising event, so you can “Sip and Saunter” through the Meadow Garden. Sander believes, “this is truly a rare behind the scenes preview of what will become a wonderful experience for both locals and visitors”. 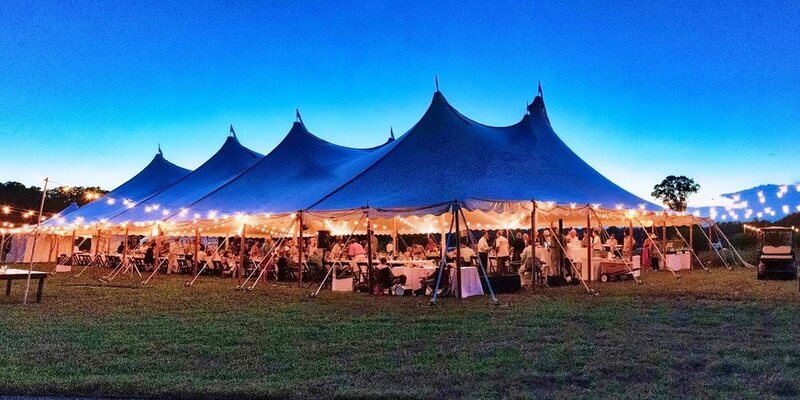 For more information about this fund raising event and to purchase tickets, visit the DBG website at www.delawaregardens.org/new-events/2018-sip-and-saunter. You may also text, call Sheryl Swed at 202-262-9856 or email her at sherylswed@delawaregardens.org for details. Gardeners are beginning to get their boots wet, as they survey their slowly waking gardens. The early daffodils are up. Gardeners everywhere will soon be planting. On a larger scale, that’s what’s happening at the new Delaware Botanic Gardens (DBG) at Pepper Creek. The 2-acre Meadow Garden, designed by internationally known Dutch designer, Piet Oudolf is the jewel in the crown of DBG. When completely planted, this garden will have 70,000 herbaceous perennials and grasses. 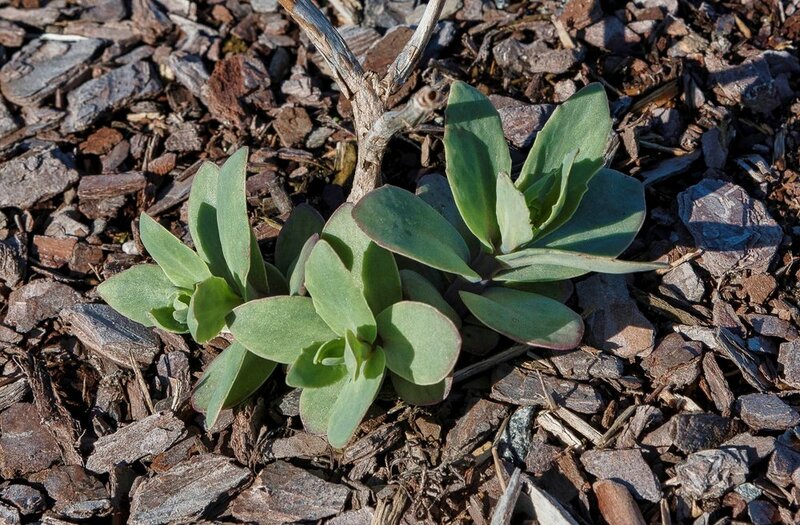 DBG needs support for its next spring planting of 30,000 herbaceous perennials and grasses, which our volunteers will lovingly “hand plant” in late April-early May. 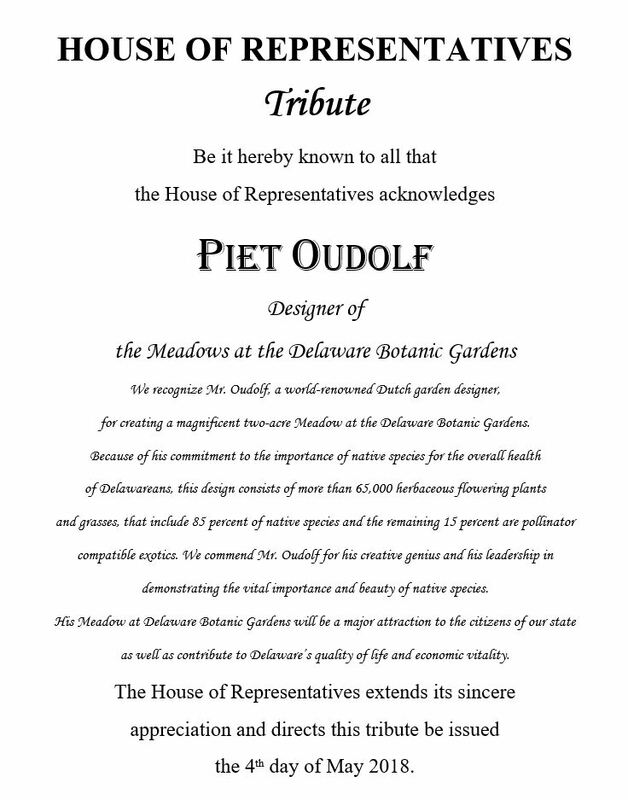 A www.gofundme.com/DelawareBotanicGardens has been set up for those wishing to contribute to the purchase of plants for the Meadow Garden. Further information on the Delaware Botanic Gardens, including membership, and volunteering go to www.delawaregardens.org and www.facebook.com/delawaregardens. The Board of the Delaware Botanic Gardens (DBG) also announced other new appointments. Carol, a Wilmington, DE native, is the former president of the Barefoot Gardeners Club in Fenwick Island and a State Life Member of the Delaware Federation of Garden Clubs. Carol retired from W.L. Gore and Associates, Newark, DE where she specialized in Payroll & Benefits, Computer Software Implementation of both People Soft and Occupational Health Services. She is SHRM certified in Human Resources & Payroll. Her community service for the Town of Fenwick Island focuses on beach dune preservation and Earth Day activities. She is also a member of the Fenwick Island Historical Group. For several years, she has been a volunteer for Delaware Botanic Gardens and is Chair of the DBG Speakers/Tour Bureau. She lives in Fenwick Island, DE. Sally joins the DBG staff after serving for twelve years as Outreach and Education Coordinator for the Delaware Center for Inland Bays. She is a seasoned communications professional with a proven track record in the non-profit and private sectors. She has spent her career in non-profit communications serving the City of Baltimore, Maryland Public Television, and John Hopkins University before launching a business in Baltimore. Sally has served on numerous boards including the Baltimore Chamber Orchestra, BioTrek Naturalists, and the Rehoboth Art League. She holds a B.A, degree in Communications Arts from Salisbury University and Masters in Liberal Arts from John Hopkins University. She continues to serve on the DBG Advisory Council.